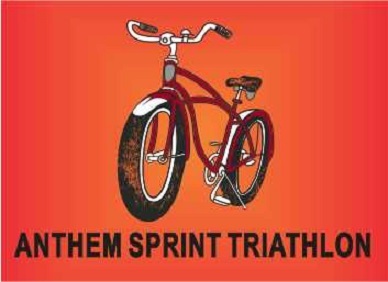 This reverse order sprint triathlon will kick-off your fall season with a bang! The Anthem Sprint Triathlon, hosted in conjunction with Team Anthem Multisport Club, is held in a great location and on a fantastic course. Consisting of a 5km run, a fast 20km bike course and a 400m swim to the finish, The Anthem Sprint Triathlon is a great way to start your fall racing season. Finisher medals for all participants! 5:00 a.m. Packet pick up and late registration at The Anthem Community Center. Transition area open and body marking available.